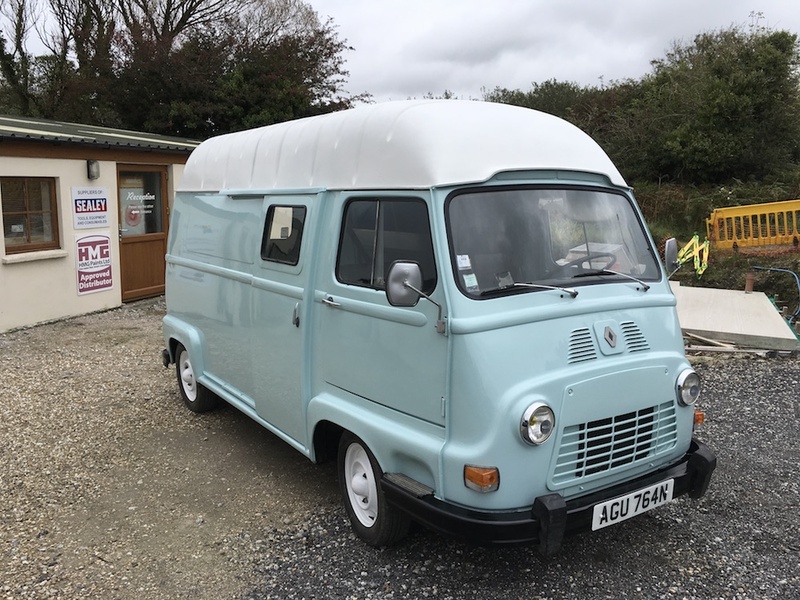 Welcome to Le Tube Station – the best place to discover a wide range of HY Vans for sale from rare early round arch models through to the very last models ever made, and just about everything in between! 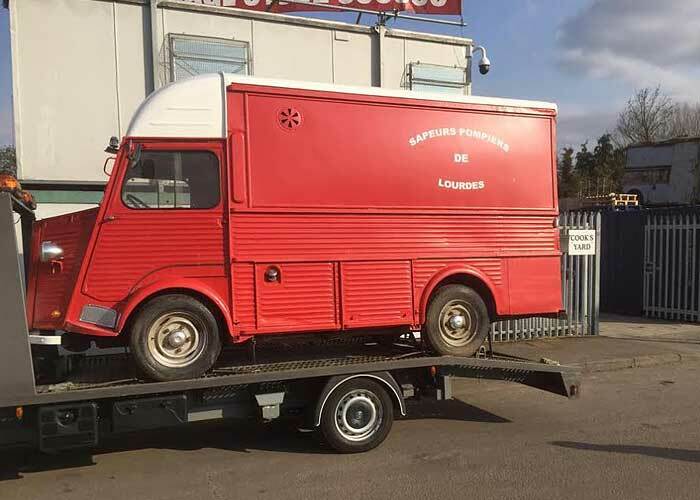 We are always on the lookout for new stock and constantly update this website with an assortment of vans that are in a variety of conditions from perfectly restored through to those that need some serious TLC – we advise you to bookmark and visit back often. 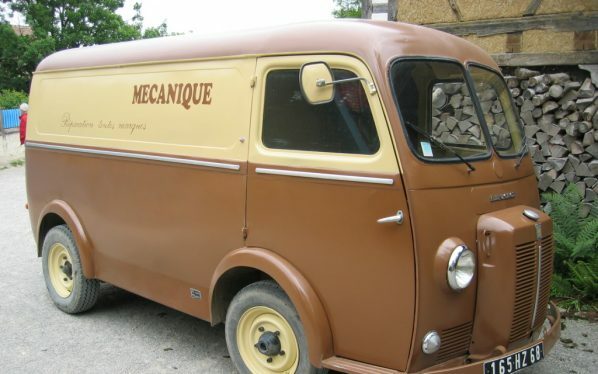 This is due to the fact we spend much of our time travelling throughout France visiting farms off the beaten track and hoping to discover old vans – sometimes, although rarely these days, we find a van in perfect condition, more often though it will be sad and rusting hiding in a leaky barn in need of some immediate TLC – whatever the condition we’re happy to source on your behalf. 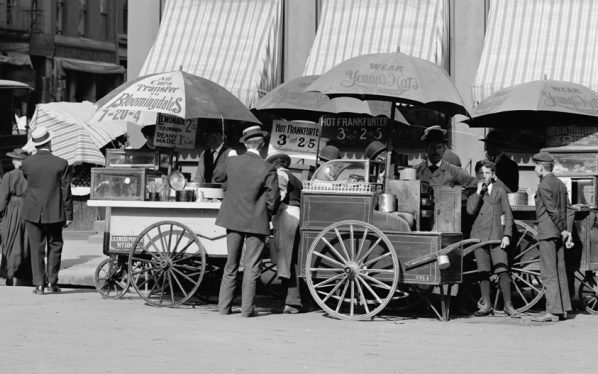 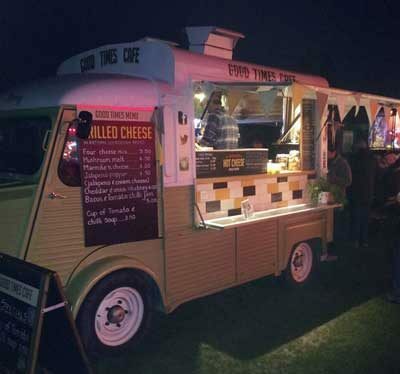 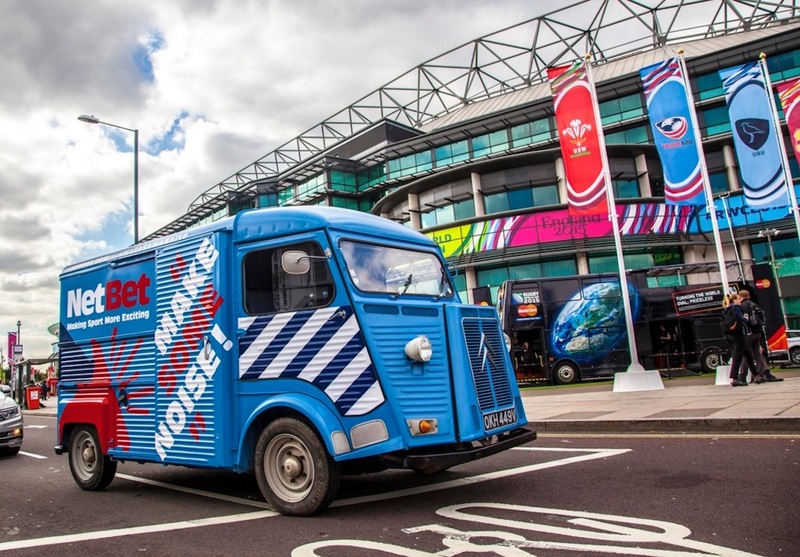 Many of the vans bought from us are converted into UK Food trucks which are becoming a very popular way of selling food at many events and festivals throughout the UK. 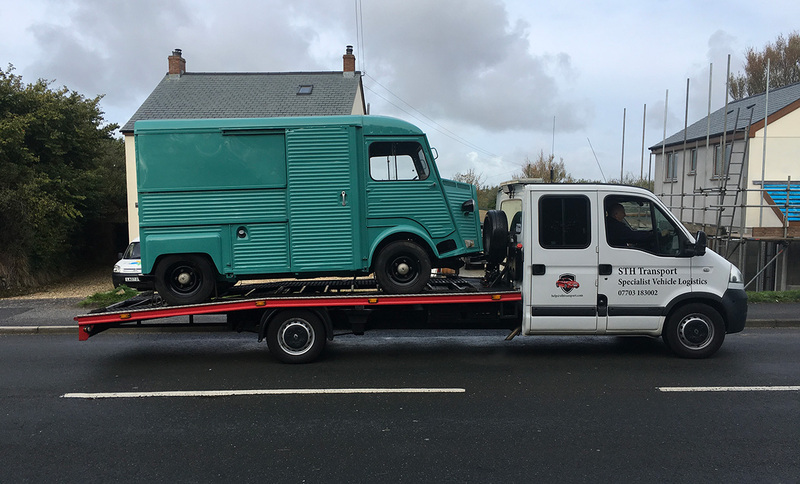 We are fortunate to have teamed up with a HY Restoration Company who can rescue most vans and restore them back to their original beauty, even installing catering hatches if necessary. 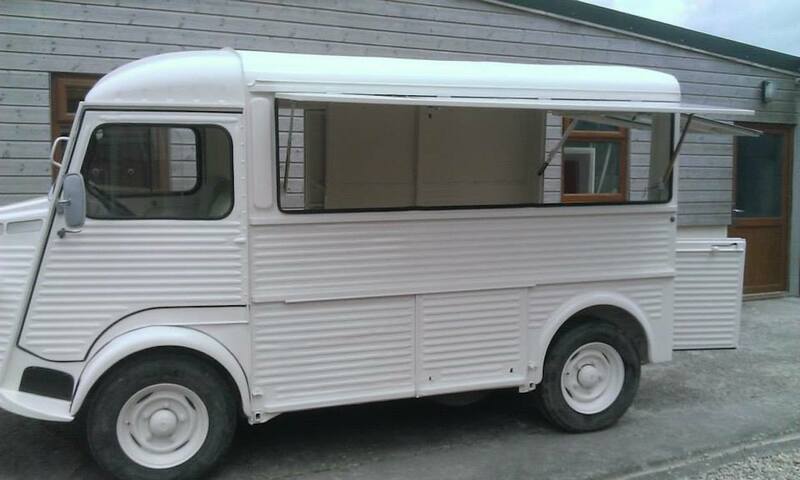 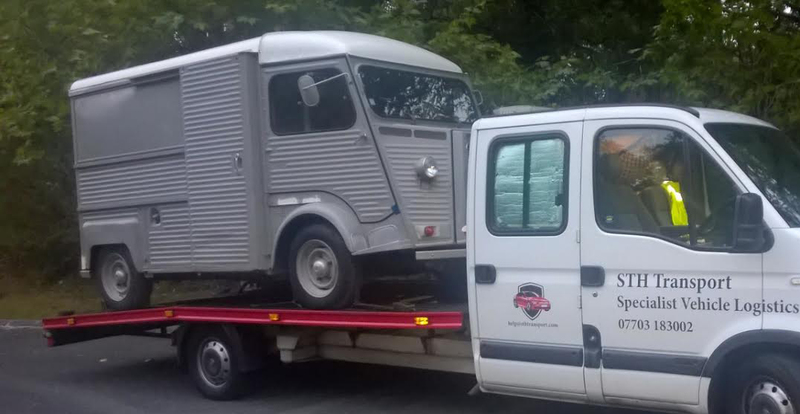 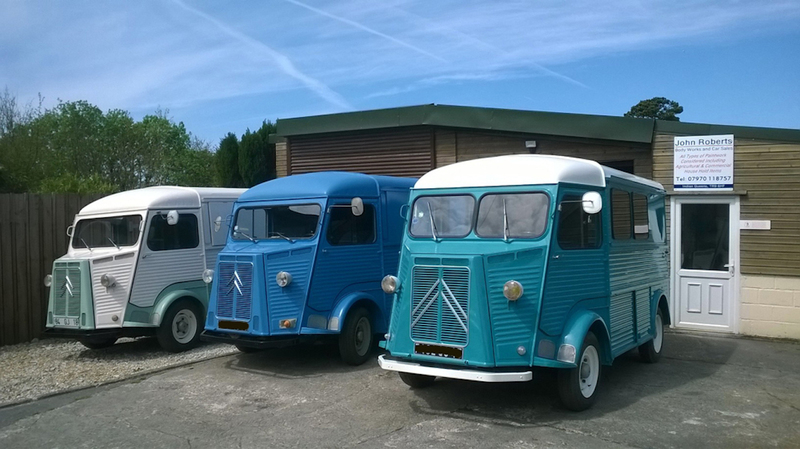 Our passion does extend further than Citroën HY van imports. 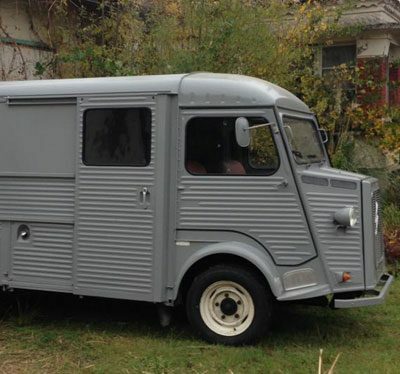 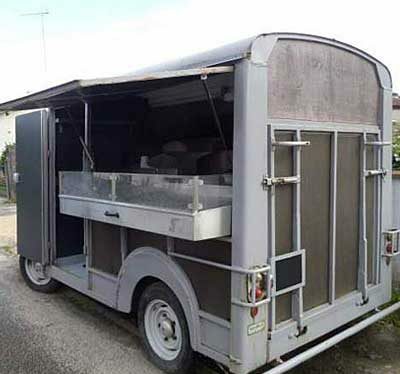  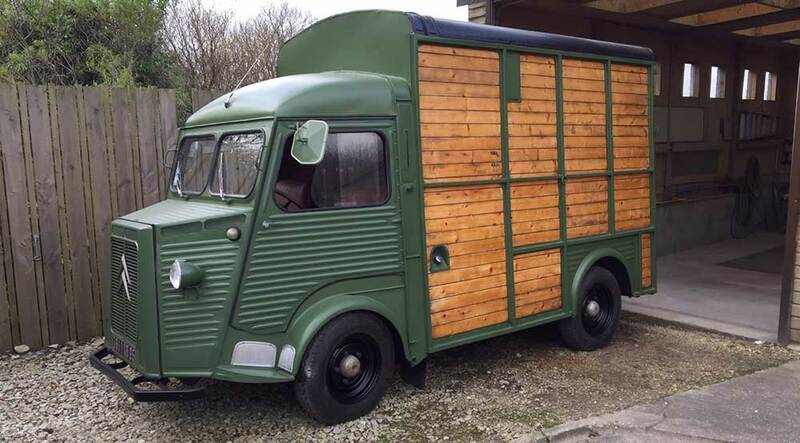 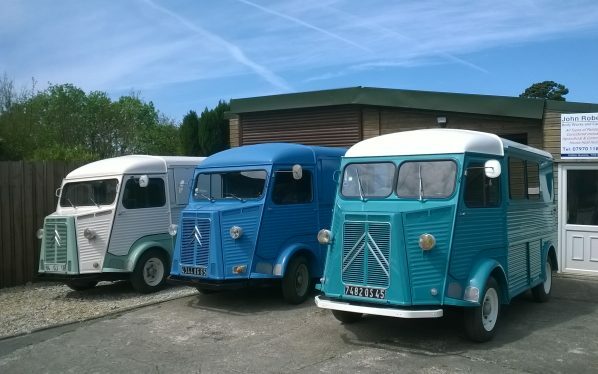 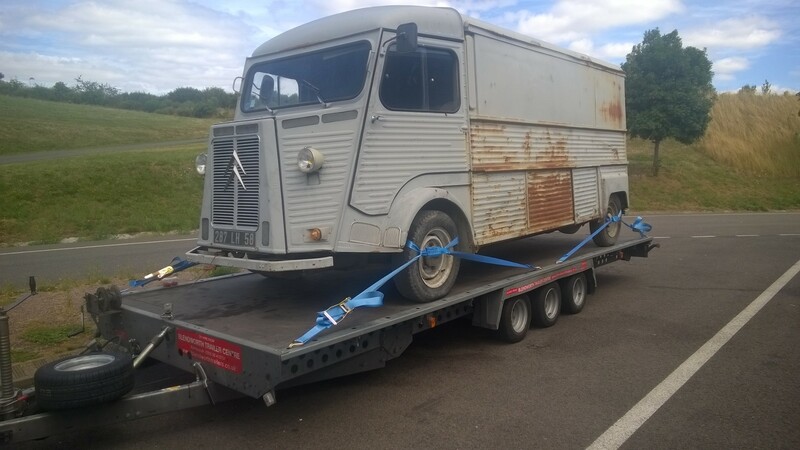 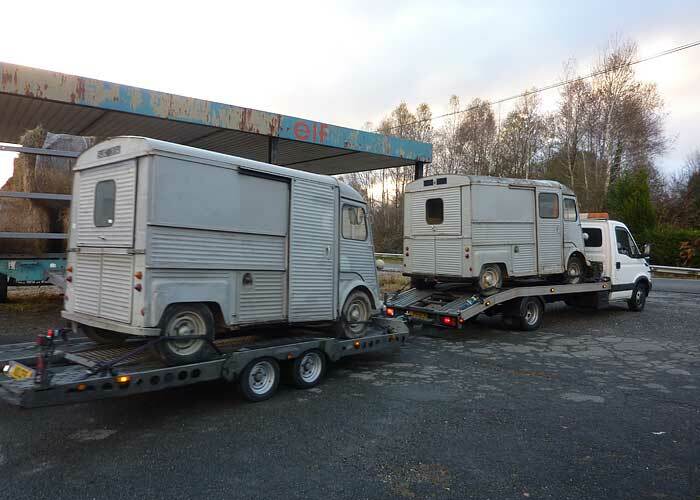 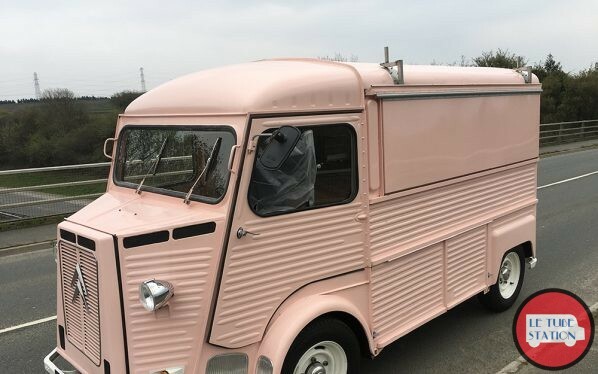 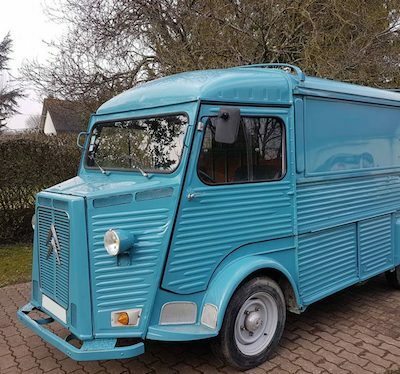 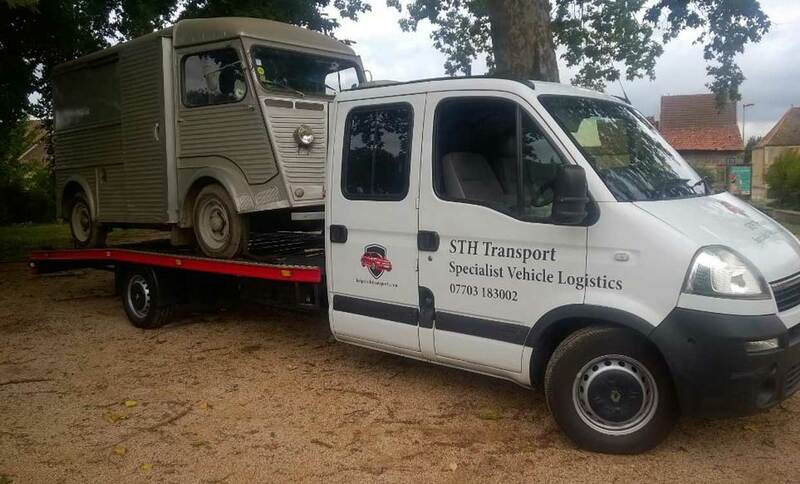 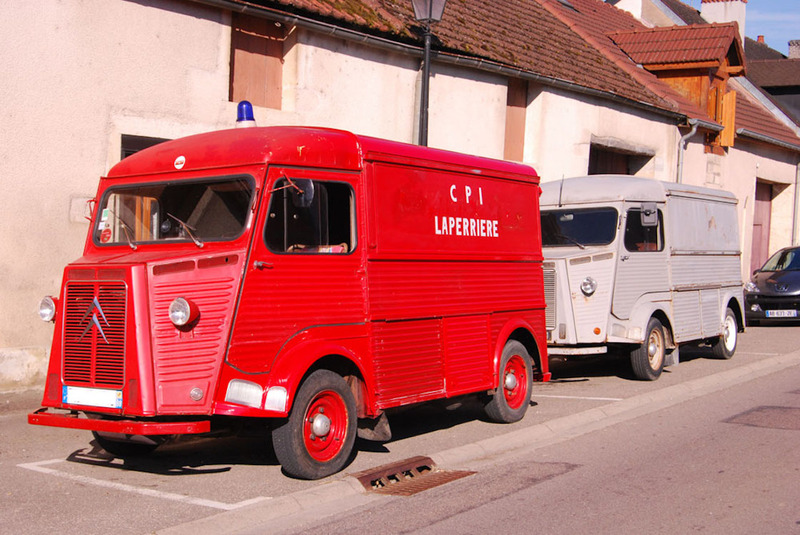 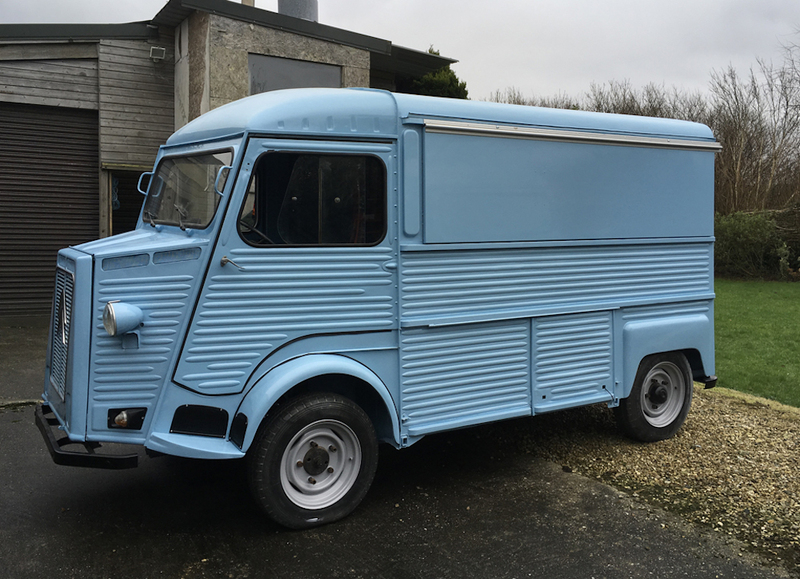 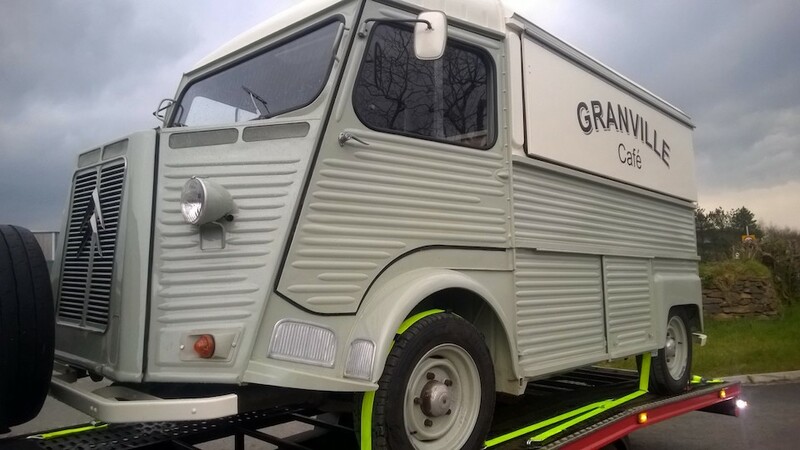 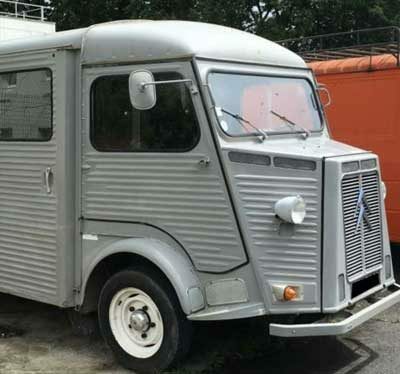 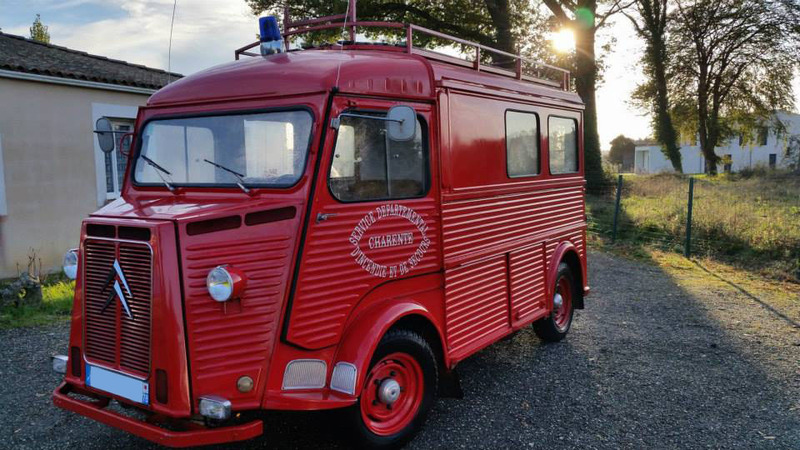 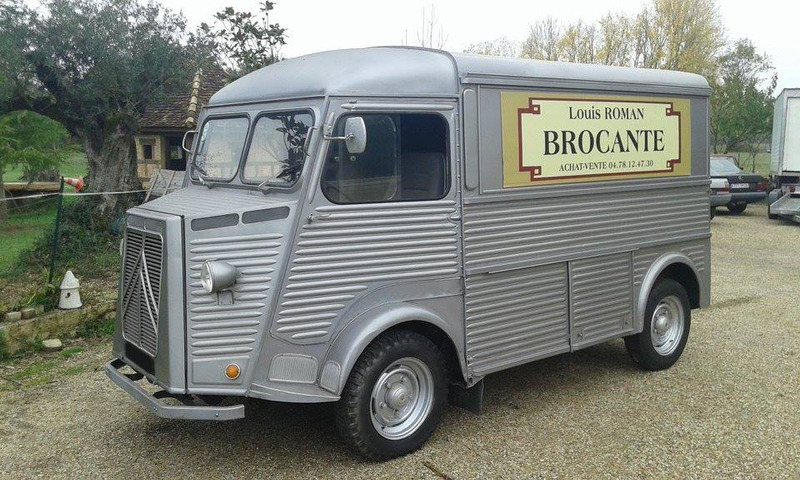 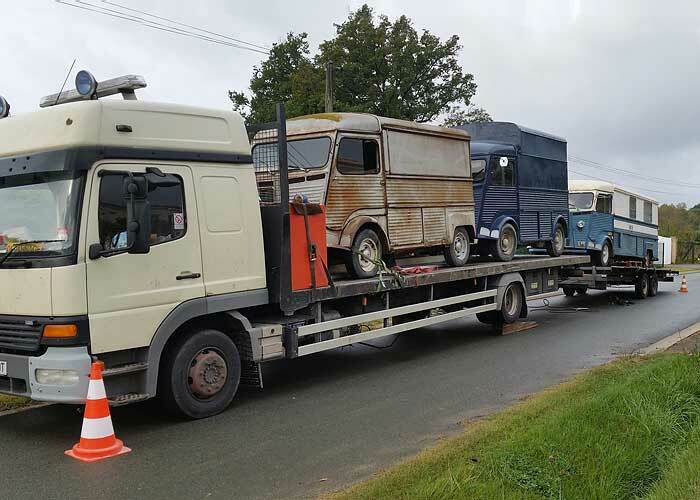 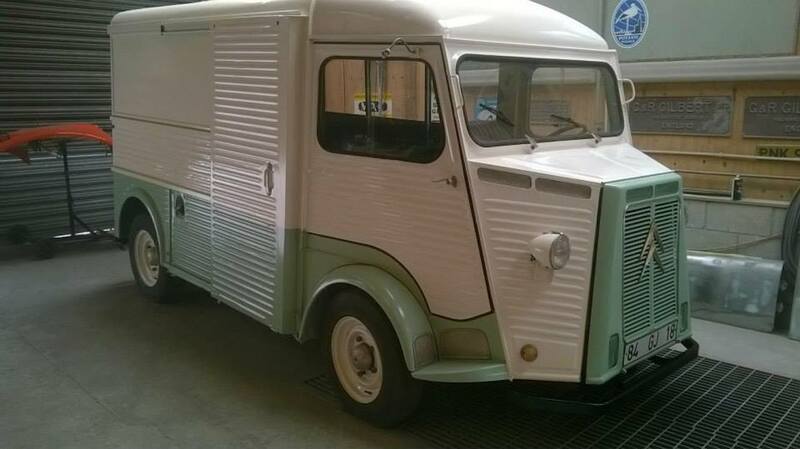 We also source, if we are lucky enough to find them, a variety of other iconic French vans which are popular both for camping and catering conversions. 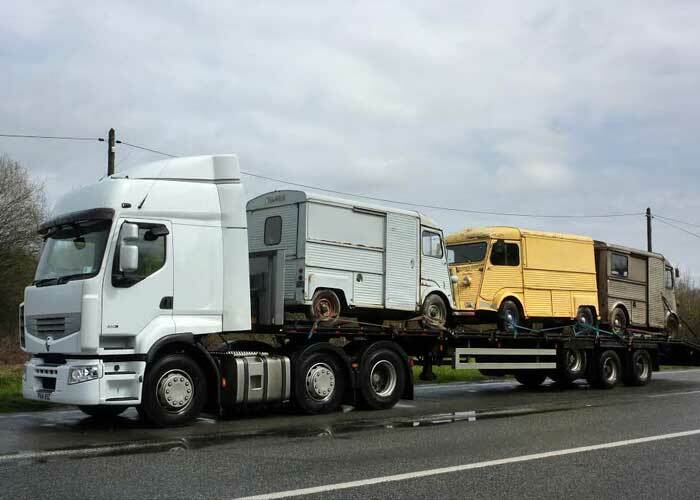 The only problem is, there is nowhere near enough to satisfy demand in the UK alone. 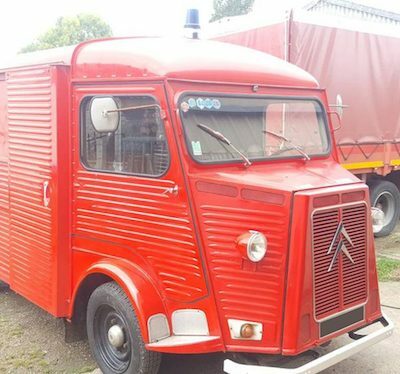 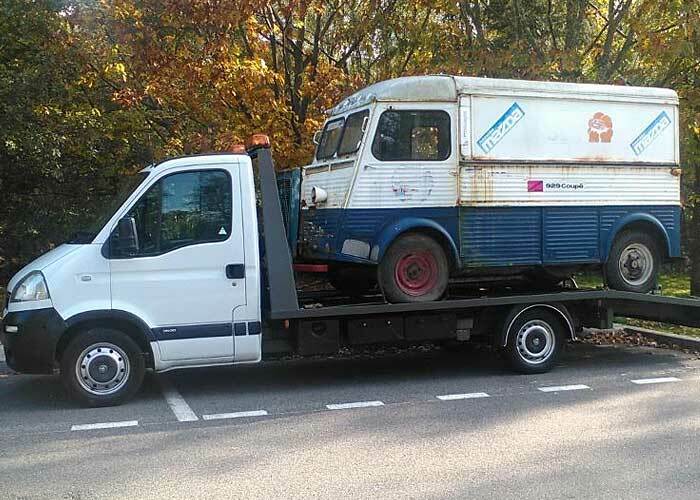 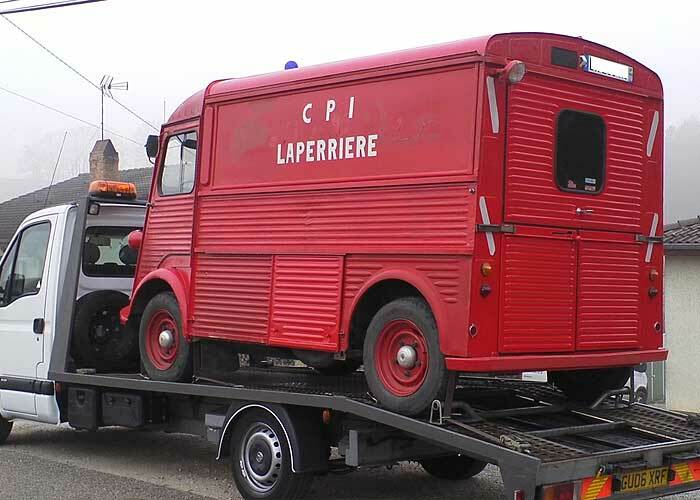 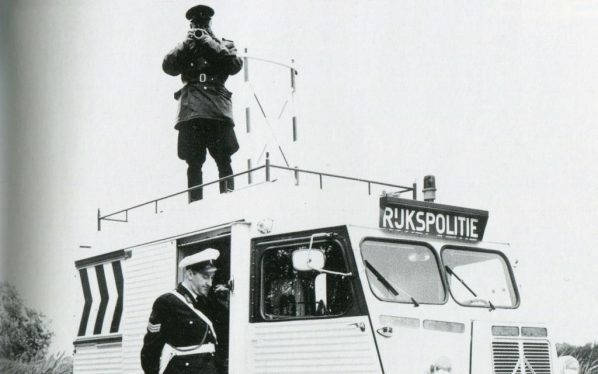 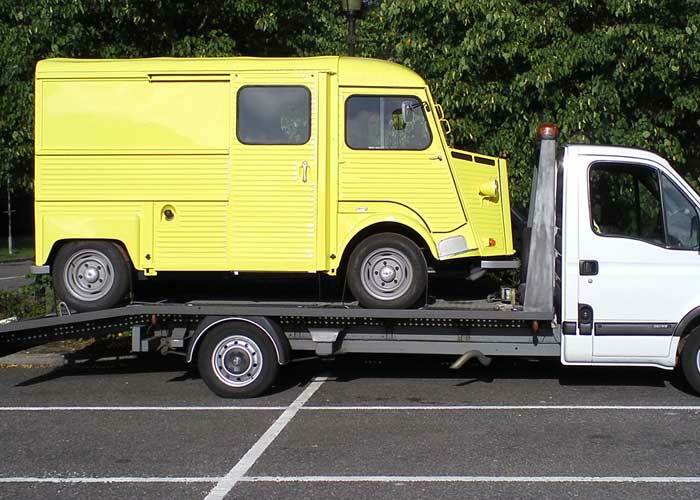 Finding classic Citroën HY Vans is difficult enough!